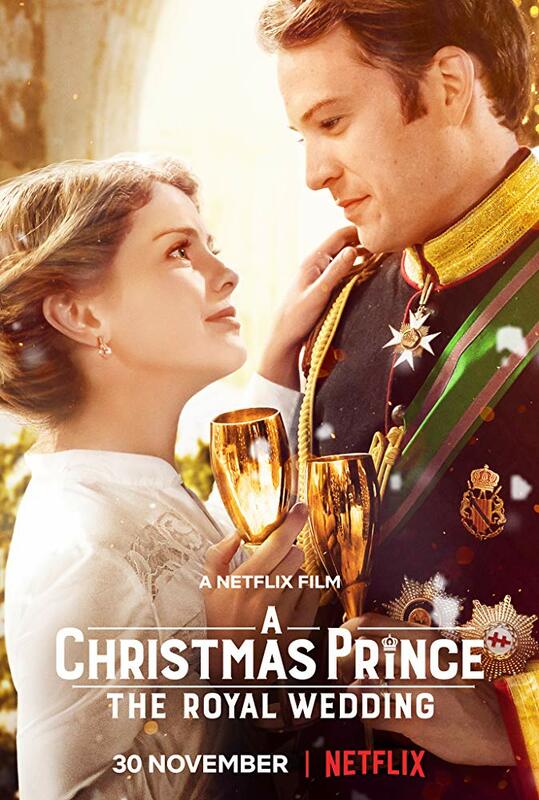 Turns out the sequel to A Christmas Prince is funnier, less deservedly dramatic, and at the end of the day, just as corny as its predecessor. It might be just a tad bit worse, too. Netflix’s big holiday hit last year served up enough dessert to serve the globe twice over, offering a sweet and recognizable film with an adequate balance of dry wit and familiar fraudulence. By comparison, A Christmas Prince: The Royal Wedding feels sour and sappy, too comfortable relying on the strengths of the past, and the dramatic elements are about as lazy as movies get. These chestnuts have been left to roast over an open fire for far too long. 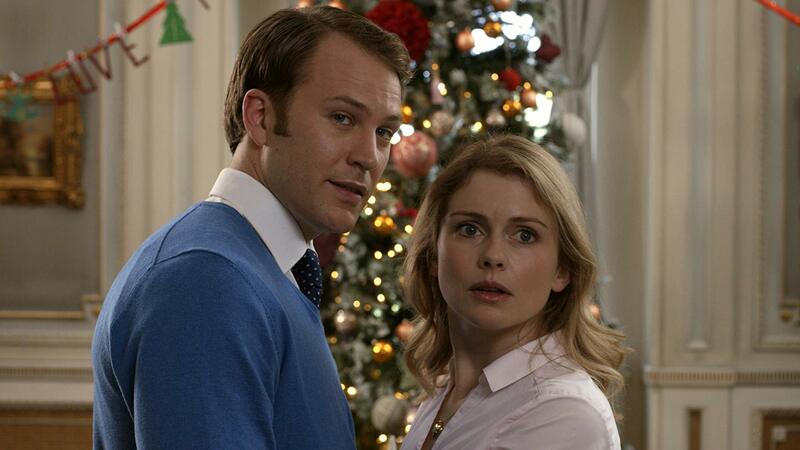 A year after their Romeo and Juliet drama finally came to a close, Prince Richard (Ben Lamb) and his fiancée Amber (Rose McIver) are set to marry on Christmas Day. He’s busy leading the fictional country of Aldovia, attempting to instill a reformed, progressive agenda while appeasing and appealing to the working class. On the opposite end of the spectrum, she’s preoccupied with amassing a large audience and writing for her personal blog, which happens to be about her newly royal life. As unknown individuals threaten to thwart the country’s path towards change, the heart rate of the main couple continues to rise. Maybe they’re in over their heads. The hokey toboggan ride in the first film ended safely, whereas this one ends face first in a mound of snow. The Royal Wedding features a makeshift bachelorette party, an uncomfortable dress fitting, an amusing East coast dad, an overbearing wedding planner, and even a sluggish performance of a holiday play. These parts only work intermediately, mostly because – and more often than not – the entire film obsesses over extravagance while its sense of Hallmark Channel style remains intentionally cheap. The Royal Wedding does a fine job when it concerns itself with the romantic angle at hand and it misses the mark when the movie does more than is asked of it. When you’re just barely competent, a less is more approach should be the decided direction. So many made for TV movies like the streaming A Christmas Prince: The Royal Wedding attempt to belay their more questionable points by turning a blind cheek and starting anew, often out of nowhere, and sometimes all in the span of one awkward scene. This hollow thought process takes over the last third of the movie, which up until that final part was aggressively safe yet unexpectedly enjoyable in spurts, and the deficiencies can normally be chalked up to a poor screenwriting. I’d guess that was the case with Netflix’s latest yuletide spectacular. A Christmas Prince: The Royal Wedding sure is unexceptional in most departments, coming across as a poor man’s Crazy Rich Asians by way of Downton Abbey, and the spellbinding effect of the original has been boiled down into a pool of mush. There’s some value and worth to be found here though, except you’re better off not digging through the muck. I’d suggest waiting for something powerful enough to clear the waters.